Extus Justin helps Coaches and Consultants take their knowledge and expertise and use it to make a difference in the lives of others. Extus believes that one of the fastest ways to have the greatest impact on the world is through Coaching and Consulting. The world as we know it is changing at a rapid pace and we’ve shifted into a knowledge society. And it’s up to us as Coaches and Consultants to continuously seek out the right knowledge, education and information so that we can help others achieve the results that they’re after. When it’s all said and done, there are few things that can truly have a great and lasting impact on our lives. One of these things is information. Access to the right info has the ability to make our lives better. Not having access to the right information can make our lives a living hell and prevent us from ever getting the results that we want inside of our lives and business. And it’s up to us Coaches & Consultants to seek out this information and bring it to the world. Looking to sharpen your Coaching and Consulting Skills? 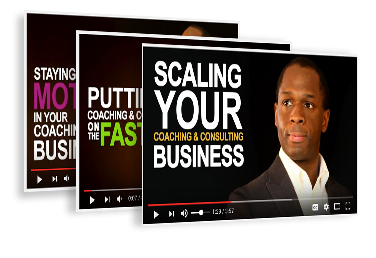 Check out our Youtube Video stream of real Coaching and Consulting Experience. Just click below to find out more..